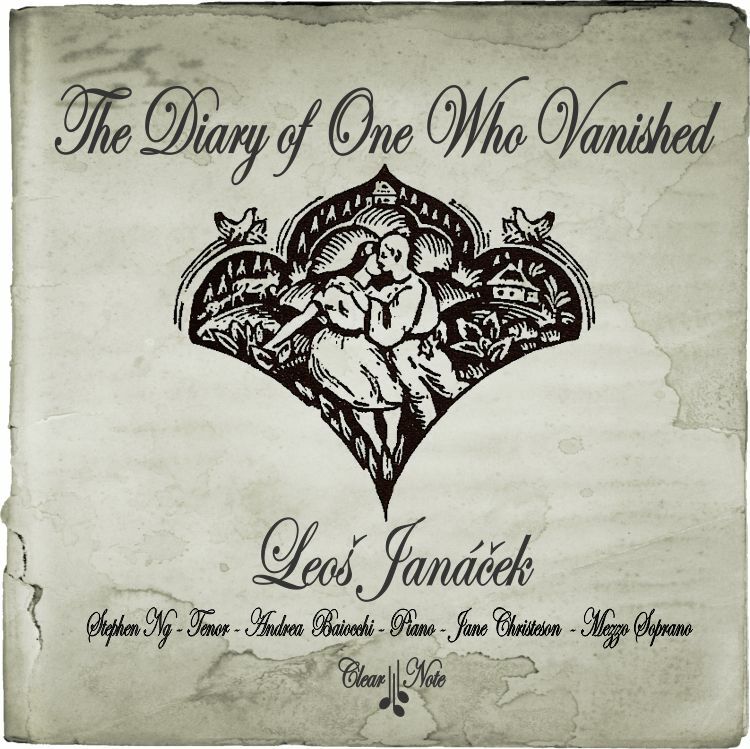 The Diary of One Who Vanished (Czech: Zápisník zmizelého) is a song cycle for tenor, alto, three female voices and piano, written by Czech composer Leoš Janácek. On May 14, 1916, the Lidové noviny newspaper published verses titled "From a Pen of the Self-taught Writer". This "diary in poems" tells the story of a village boy who falls in love with the young gipsy girl Zefka (Žofka), and decides to leave his family and village with her. 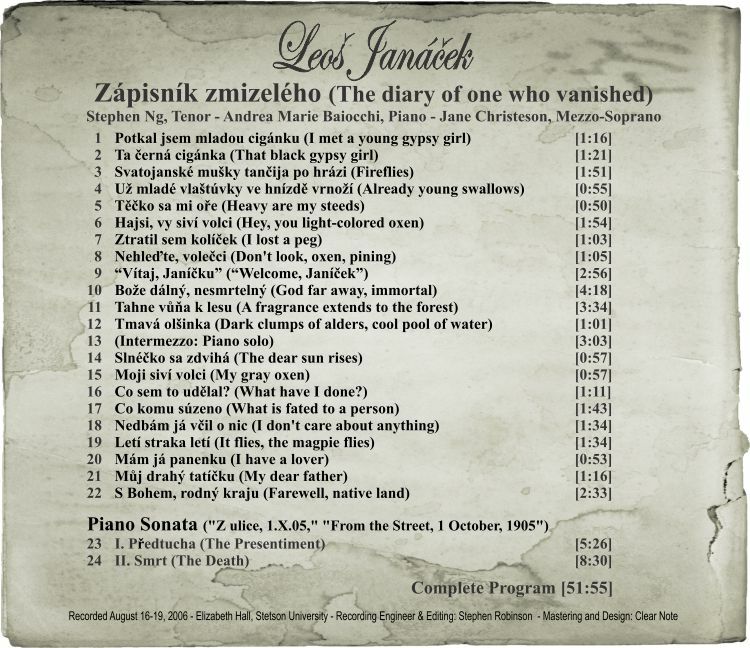 The verses made a deep impression on Leoš Janácek (cooperator of Lidové noviny in that time), and he decided to rework the poems into the song cycle. He created a work in twenty-two parts, accompanied by scenic demands. The cycle was composed during August 1917 and June 1919; the last modifications were finished in December 1920. "Stephen Ng, a tenor with an impressively eclectic resume, is simply superb in every respect. 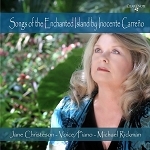 His voice is gorgeous and distinctive, and it rises to certain soft climaxes with impressive lyricism, yet when thundering high Cs are demanded in the climactic final song, those are delivered with unstinting vigor and freedom. 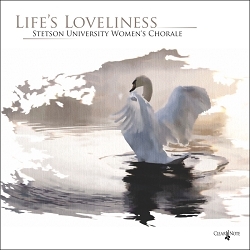 He negotiates this complex score with rare assurance and musicality..."
1. X. 1905, also known as Piano Sonata 1.X.1905, is a two-movement piano sonata composed by Leoš Janácek in 1905. It is also known as From the Street.